What you can find in the “9 cell grid” of WeChat Wallet interface are the highly valued self-owned and third party services. The already crowded “9 grid” is having a new addition. Previously, AWTMT.com reported that Tencent will be providing insurance products on WeChat’s Wallet in the latter half of the year. Taiwan’s second largest financial company, Fubon Financial Holding, has struck an agreement with Tencent to provide the above-mentioned insurance products with its subsidiary in China, Fubon Insurance. According to an internal staff from Tencent, they are currently applying for licenses from the relevant regulatory authority, and the launch of the said insurance products have been delayed due to the wait for the licenses. He/She also shared that the agreement is not merely restricted to financial plans that are commonly sold online, but also include a bigger segment of the insurance business, albeit less commonly sold online – life insurance. The fact is that the agreement was kick-started in July this year. On 18th July, Taiwan’s Vice Chairman, Mr Chua Ming Xing revealed that the company is setting up a company in Shenzhen together with Tencent, Fubon’s products or will be available on Tencent’s WeChat and other platforms. According to Mr Chua, the insurance products on WeChat will be provided by Fubon Insurance. In addition, he also shared that Fubon is in the midst of applying fo an operating license in China, and the company has invested heavily in finance and manpower, and has sent 20 odd employees to Shenzhen for the preparations. At the same time, Fubon has gotten approval from the finance regulatory body to provide financial planning services by machines, and hope to launch an all-digital branch in China as quickly as possible. Besides the agreement with Fubon Financial, Tencent has been working steadily on the online insurance industry in the recent few years, from investing in insurance companies to applying for insurance operating license on its own. In 2013, Alibaba, Tencent and Pingan has established China’s pioneer online insurance company (Zhongan Insurance). The main business of the company is providing car, medical and online shopping insurance products for younger population in China, in collaboration with Internet companies. As of today, Ant Financial is the major shareholder, with 16.0403% shares, while Tencent and Pingan holding 12.0907% shares each. Zhongan Insurance will be listed in Hong Kong earliest by September this year, with a valuation of one hundred billion. In August 2016, Tencent’s subsidiary company was involved in the setting up of Hetai Life Insurance, which is approved by China Insurance Regulatory Commission. Hetai Life Insurance is registered in ShanDong province Jinan city, with an initial capital investment of 15 billion RMB, Tencent and CITIC Guoan are both the major shareholder Hetai Life Insurance has positioned itself as an online portal for life insurance. The company’s core online strategy includes the digitization of products and sales operations, win-win situation for both parties; digitization of services and operations management, going automatic, simplification, and digitally smart; using big data to set prices and personalization; ventures in the online insurance sales industry. Tairen Insurance started operations in February 2017 and Tencent’s sole subsidiary has forked out 15% of the capital investment. According to Wall Street Journal on 23 January 2017, insurer AVIVA corporation, Hillhouse Capital Group and Tencent has agreed to establish an insurance company in Hong Kong, focusing on numbers insurance services, travel insurance, health insurance, online financial planning and other services. As part of the agreement, Hillhouse Capital and Tencent will be acquiring partial shares of AVIVA Life (Hong Kong). After the transaction, AVIVA and Hillhouse will each have 40% of AVIVA Life (Hong Kong) shares, while Tencent will hold 20% shares. According to reports, AVIVA is UK’s largest, the world’s fifth largest insurance conglomerate company. Established in 1696 with headquarters in London, AVIVA mainly provides life insurance and retirement products. It is one of the world’s top 500 companies, but its operations in the recent years had not been up to expectations. It had kickstarted re-organization and transformation in 2012, with a focus on digital prioritization and focus on its core markets. Through the frequent capital movement, Tencent has obtained two operating licenses – online insurance and insurance intermediary, and has ventured into financial plans and life insurance businesses. 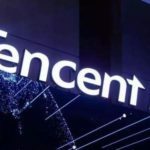 Looking at the current situation, Tencent should be venturing into even more aspects of the insurance business in the future. However, this industry is highly competitive, as many Internet companies have already joined in the game. Looking at Alibaba, it has established Zhong An Insurance, together with Zhong Guo Ping An and Tencent, and is the largest shareholder. It has set up Ali Health Insurance company with Zhong Guo Tai Ping and Tai Ping Life Insurance, and provides online health insurance related services. Ant Financial has become the controlling shareholder of Guo Tai Insurance with a 51% shares. As for Baidu, it has set up Bai An Insurance Company with Allianz and Hillhouse Capital. It has also signed a memorandum with Life Insurance. In addition, JD and Suning also has similar strategy. According to the statistics from Oliver Wyman, the insurance premiums have increased from 1.4 trillion RMB in 2011 to 3.1 trillion RMB in 2016, with a 17% year-on-year increase. With regards to the trillion dollar insurance industry, the competition between online insurance companies will only intensify further.